Brian Dixon is a Shareholder at Littler Mendelson, based in the firm’s San Francisco office. Brian provides employers with a full range of counsel and legal representation, with particular focus on all aspects of employee compensation, including: minimum wage; prevailing wage; overtime compensation obligations; and incentive compensation plans. He represents employers before state and federal courts and in compensation disputes and audits involving the Department of Labor, California's Division of Labor Standards Enforcement, and the enforcement agencies of other states. Brian’s practice includes the resolution of matters involving wrongful termination, equal employment opportunity concerns, labor relations, individual employee discipline, and collective actions involving the classification of employees as overtime exempt and civil penalties under the Private Attorney General Act. Brian works with clients in a broad range of industries, including technology, healthcare, finance, non-profit, engineering, and construction. 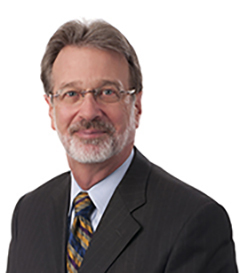 Brian has been a shareholder at Littler Mendelson since 1984 and is the co-chair of the Wage and Hour Practice Group. He has authored compensation guides for many industry associations including the California Trucking Association, the California Association of Children’s Homes, the California Hotel and Motel Association, and the Outdoor Amusement Business Association.